Cleveland, Tennessee paused Monday to remember those from Bradley County who gave their lives for their country. The downtown Memorial Day ceremony has been held annually for more than 70 years. Steve Steward, the ceremony’s chairman the past 20 years announced he is stepping aside. He introduced the new chairman, Pedro Gonzales. The new chairman’s first task will be appointing a master of ceremonies for 2018. 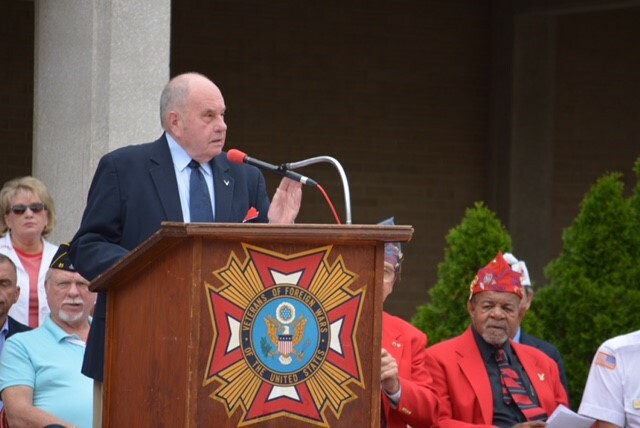 Mayor Tom Rowland announced this Memorial Day service will be hist last as master of ceremonies. The mayor has been the master of ceremonies for more than 50 years. The featured speaker was Charles Murray, retired U.S. Air Force colonel. This year’s Bill Norwood Veterans Service Award was presented by Stewart to John Thomason for his service caring for the local veterans cemetery. Kathy Pegram, presented a patriotic themed quilt from the Cherokee Blossom Quilt Guild. Members of the Chattanooga Division, U.S. 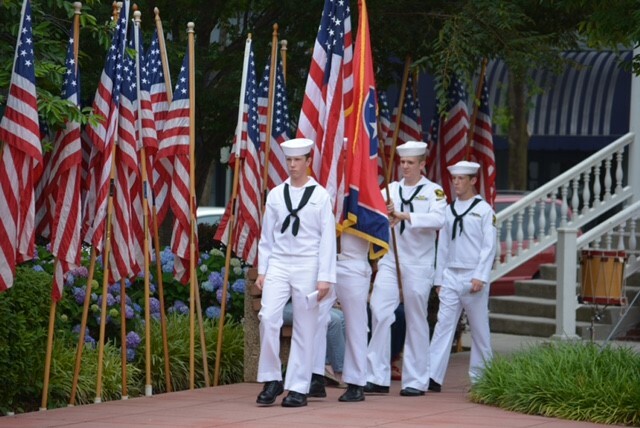 Naval Sea Cadets presented the national colors and read the names of Bradley Countians fallen in war. The Aldergate Garden Club placed flowers on the courthouse steps as the names were called. Mayor Rowland continued the “Last Roll Call” tradition of reading the names of veterans who passed away in the last twelve months. Others on the program were the Cleveland High School Band drummers and buglers as well as the Bradley County Veterans Firing Squad.